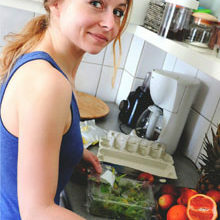 Home HealthDiet What Is The Planetary Health Diet? Eat your greens! We all heard it growing up… and as it turns out, our parents were right. 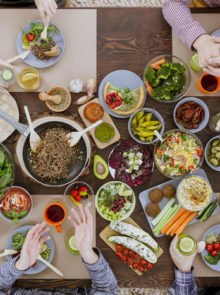 The EAT-Lancet Commission recently brought together more than 30 world-leading experts to look at how we can feed a future global population of 10 billion people a healthy diet within sustainable planetary boundaries. 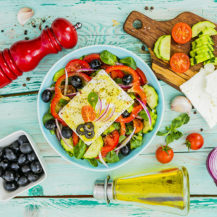 In fact, The EAT-Lancet researchers believe that the planetary health diet can save 11 million human lives by reducing obesity and other diet-related health issues. 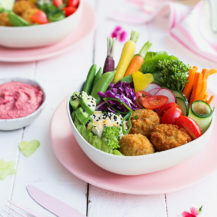 Dr Mariaan Wicks, lecturer at North-West University and spokesperson for ADSA (Association for Dietetics in South Africa) describes the planetary health diet as “…rich in plant-based foods, with fewer animal source foods and limited amounts of added sugars. Among the questions facing the EAT-Lancet researchers were how to feed more people while reducing greenhouse gas emissions, preventing further species extinction, curbing the expansion of farmland and conserving water. Their recommendations include reducing our consumption of animal protein because its production has the highest detrimental impact on the environment; and limiting highly processed foods in order to reduce the negative consequences of food manufacturing and distribution. Different changes will be needed for different countries, and eating more sustainably is not just about food choices but also food packaging issues and how we can limit food waste. In South Africa, we need to reduce our intake of animal proteins, added sugars and starchy vegetables. Think cutting red meat back to just one hamburger a week or a big steak once a month. The advice from Dr Wicks is to take small steps towards eating more sustainably rather than to make sweeping changes. There is an incredible variety of plant-based foods, and there are excellent sources of plant proteins that provide complete amino acids. Rethink the amount of meat you consume in your regular diet. Little changes such as reducing your portion size and the number of times in a specific day or week that you consume meat, especially red meat, can contribute greatly to reducing your carbon footprint. Try to include at least one meat-free day in your week – breakfast, lunch, snacks and dinner. Experiment with beans, lentils and chickpeas in place of meat. Get some vegetarian inspiration from Woman & Home’s recipe index. Limit the amount of meat in your weekend braai to only one meat option. Instead, add black mushrooms with a garlic butter filling, brinjals in barbecue sauce and vegetable sosaties made from onions, peppers, cherry tomatoes and baby marrows. Rethink what you do with food waste. Using leftovers for the next day’s lunchboxes or freezing sauces to use as a base for another meal is a good start. 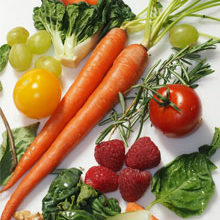 Buy fresh, seasonal, locally-produced fruit and vegetables, and limit pre-cut and packaged fruits and vegetables. By doing this you will save money and dramatically reduce your plastic use. Choose reusable bottles to limit your single-use plastics.